Vegan Truffles That Taste Just Like Chocolate? Believe It! These vegan and gluten free truffles have a delicious silky texture and you won’t believe they’re not made from chocolate. 1. Process the carob powder and 35 g (1¼ oz/¼ cup) of the pistachios in a food processor until the nuts are finely chopped. 2. Add the nut butter and pulse to combine. With the motor running, add the dates a few at a time. Process until all the dates are added and the mixture comes together, adding 1 teaspoon cold water if necessary. The mixture should be soft and pliable. Remove it from the food processor and bring it together completely with your hands. Set aside. 3. Process the remaining pistachios in a clean food processor until finely chopped, then transfer to a large plate. Roll heaped teaspoons of the date mixture into balls. Roll the truffles in the pistachios to lightly coat, shaking off any excess. Place in an airtight container and refrigerate. Tips: You can replace the carob powder with unsweetened cocoa powder or raw cacao powder. These truffles will keep in an airtight container in the refrigerator for up to 2 weeks. Remove them from the refrigerator 10 minutes before serving. 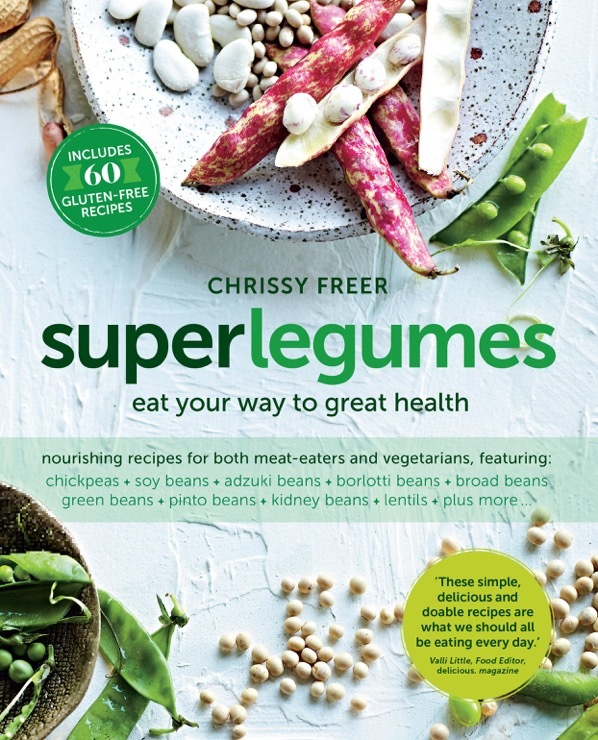 Recipe and image from Superlegumes by Chrissy Freer (Murdoch Books) $29.99, available now.